The MAXIMUS Companion light looks exactly the same as the Maximus Smart Security Light in Traditional look and has Bluetooth capability for easy pairing with the Maximus Smart Security Light. It syncs automatically with the light settings that were set for the Maximus security light. The light is easy to install in approximately 15 minutes when replacing an existing light fixture. No extra wiring is required. - The fixture comes with A19 450 lumen bulb in it and 3-color status LED with selectable display/hide modes. The New Defiant LED motion security light chases away night time darkness. The NEW innovative 3 lamp head design offers unlimited light coverage options to provide increased safety, security, and peace of mind. Never change a bulb with this new LED technology. 3 Easy Steps to Connect is DIY friendly and allows quick safe installation. A DualBrite feature beautifies, protects and saves energy by utilizing accent light from Dusk-to-Dawn and full light when motion is detected. With power efficient, long lasting integrated LEDs as its light source, the Globe Electric Weather Resistant Motion Activated Security Light is maintenance free once installed. Integrated LEDs last for years and you never have to worry about changing a bulb again. Compared with traditional security fixtures, LED fixtures provide brighter, more even lighting while consuming much less energy. With motion activation for up to 26 ft. and an 120° front and downward detection sensor your home, garage, office or building will never feel safer. Traditional Companion Smart Security Light - Textured Black The MAXIMUS Companion light looks exactly the same as the Maximus Smart Security Light in Traditional look and has Bluetooth capability for easy pairing with the Maximus Smart Security Light. It syncs automatically with the light settings that were set for the Maximus security light. The light is easy to install in approximately 15 minutes when replacing an existing light fixture. No extra wiring is required. - The fixture comes with A19 450 lumen bulb in it and 3-color status LED with selectable display/hide modes. 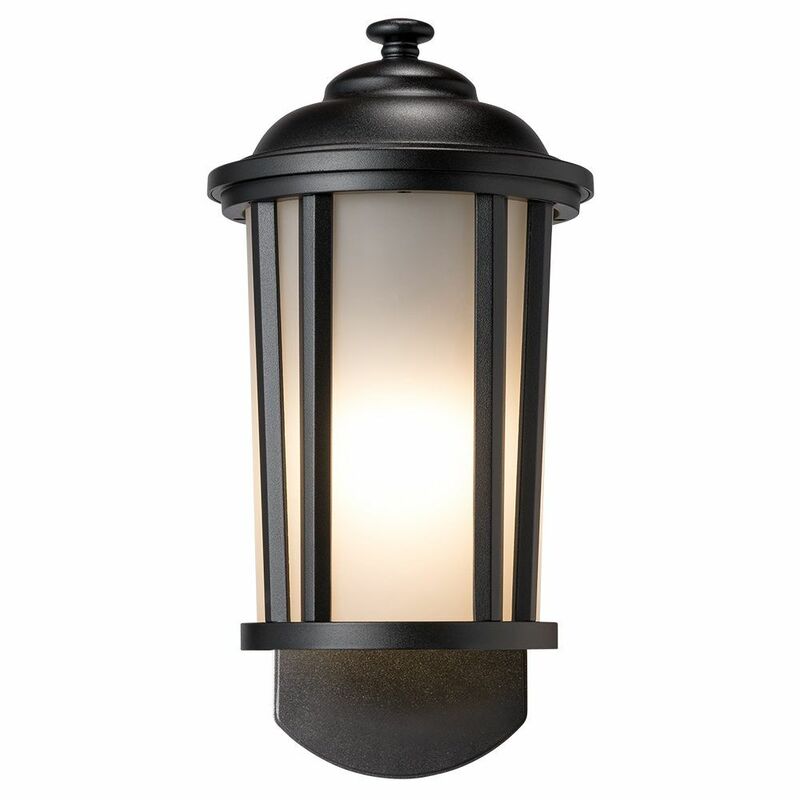 Traditional Companion Smart Security Light - Textured Black is rated 2.3 out of 5 by 3. Rated 1 out of 5 by DrG from I bought this product to use with the camera version. could not get it to bluetooth to the other ... I bought this product to use with the camera version. could not get it to bluetooth to the other product. ended up just getting another camera model. the company was supportive but they couldn't get it to work either. Rated 1 out of 5 by JED from Home Depot website describes this - and the other light... Home Depot website describes this - and the other light I purchased - as an exterior light with motion detection... NOT! Neither one are equipped to provide motion detection without a further investment of equipment, cameras, etc. I HAD regular exterior lights and was attempting to upgrade! Rated 5 out of 5 by Sandra from Great product. Awesome! !!... Great product. Awesome! ! !